THE EUROPEAN Commission has let Spain off sanctions over air pollution after seeing how it has improved its levels of toxicity in the atmosphere – but the UK, France and Germany are among those who are still facing fines. 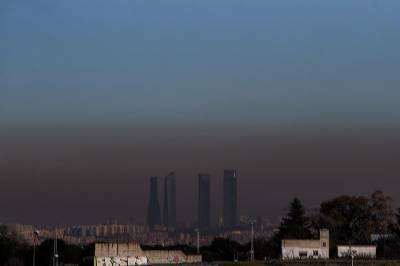 Spain was one of nine member States summoned urgently to Brussels to explain what it was doing to solve its air pollution problem. Madrid and Barcelona were highlighted as the main culprits, although Avilés in the northern coastal region of Asturias, and Villanueva de Arzobispo in the province of Jaén were also flagged up. The countries summoned were ordered to obtain information about pollution levels compared with those of the rest of the country and explain measures to be taken both to the public and the European Commission. Spain’s plans, along with those of Slovenia and the Czech Republic, were considered to be in line with European Directive number 2008/50/CE and ‘adequate to combat the issues detected’ if they are ‘implemented in full and immediately’. The Commission will continue to monitor all three countries to ensure the steps described are duly taken and the results are satisfactory, according to environmental commissioner Karmenu Vella. Britain, France, Germany, Italy, Hungary and Romania will now have to appear in the European Court of Justice (ECJ) where they will be tried for failing to take suitable steps to cut air pollution. Also, Germany, Italy, Luxembourg and the UK will face disciplinaries for non-compliance in vehicle standardisation. Spain’s reprieve, and that of the Czech Republic and Slovenia, have been criticised by ‘green’ charity Ecologists in Action as they believe it will lead to the countries resting on their laurels and ‘continuing to fail to comply with’ air pollution limits.